Hojul3 is using Smore newsletters to spread the word online. As of 2008, Polar Bears were listed as a Threatened Species under the Endangered Species Act. Scientists concluded the threat to these species are ecological change in the Arctic from global warming. 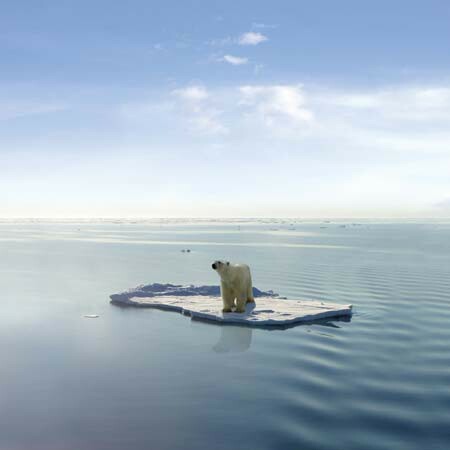 There has been a major ice loss and an estimate of 20,000 - 25,000 Polar Bears standing on earth. 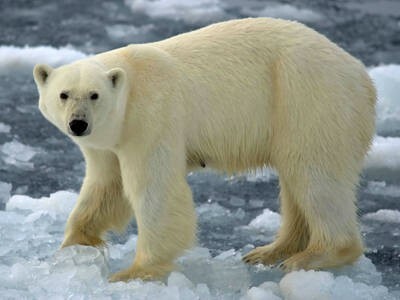 Polar Bears are omnivores who feed on harp seals, hooded seals, reindeers, seabirds, waterfowl, fish, egg and berries. Their main diet are ringed and bearded seals. They catch their food by waiting at breathing holes for a seal to surface. Polar Bears are found throughout the circumpolar Arctic where they live in an ice terrain. 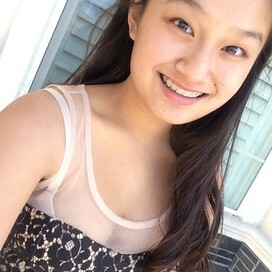 Their inhabitants include the Arctic sea ice, water, islands and continental coastlines. They live in a polar temperature where it reaches -29°F in the winter and 32°F in the summer. 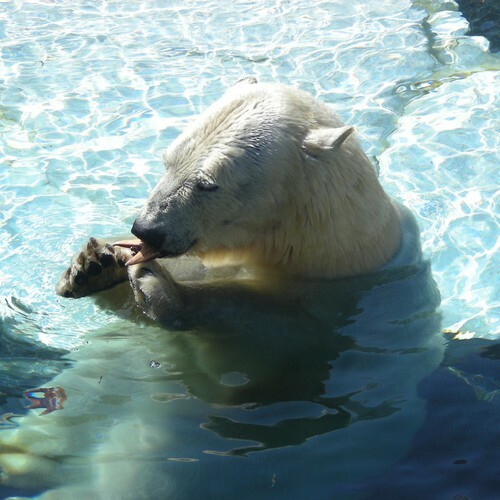 Polar Bears live an average of 15 to 18 years, while some in captivity may live until their late 30s. Once mated, females dig dens to hibernate and emerge three months later. Female bears usually produce an average of two cubs per season. 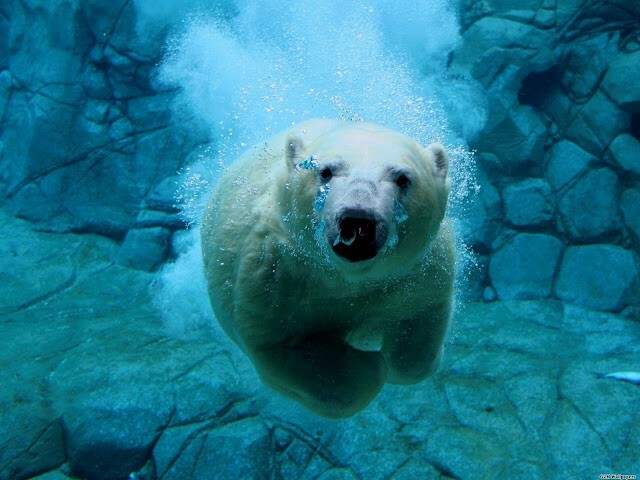 Polar Bears are strong swimmers with thick layers of blubber, fat, which helps keep them warm. The bears sole has thick with bumps to help prevent slipping on ice. 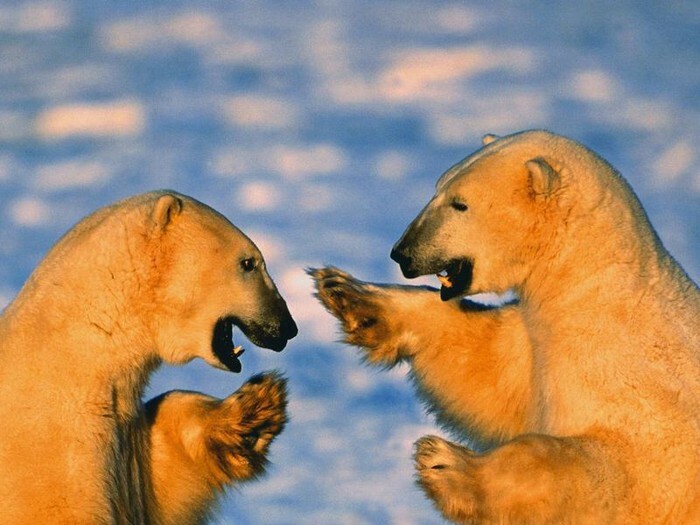 Polar bears have 42 teeth to catch food, which comes in handy with their aggressive behavior. Polar Bears do not have any common predators except for us humans. Though on some rare occasions, other polar bears can be predators to their kind. Scientists believe due to food stress increases the act of cannibalism. 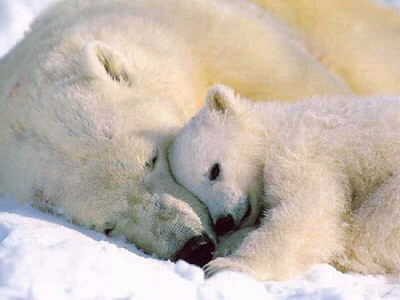 There are many ways to contribute take action to help save Polar Bears. 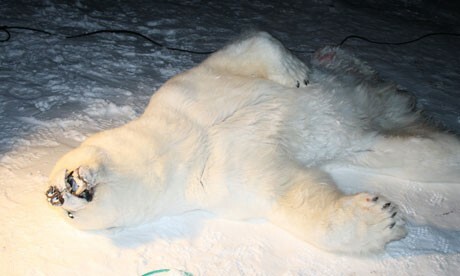 Organizations such as http://www.worldwildlife.org/ and http://www.polarbearsinternational.org make donations to help fund research and also give people the opportunity to adopt a Polar Bear. Other ways to help is to live greener. This means to regularly reuse, reduce, recycle and to use light from solar energy.